When we hear about wildlife conservation in Africa, the stories are typically focused on elephants in the savannah, lions roaming their range, or gorillas in the forest. We at Born Free certainly work tirelessly to protect these imperiled species. But, there is also a significant conservation effort for marine life around the coastal areas of Africa. Born Free is proud to support the work of Sea Sense: a Tanzanian organization that conducts research, monitoring, and outreach programs to protect marine life, including dugongs and sea turtles, and their habitat off East Africa's coast. Tanzania is home to an outstanding array of marine habitats. Coral reefs and seagrass beds provide important feeding grounds for several endangered marine species, including five species of marine turtles (green, hawksbill, loggerhead, olive ridley, and leatherback), as well as dugongs, sharks, whale sharks, whales, and dolphins. For several years, Born Free USA and the Born Free Foundation have provided Sea Sense with essential support to conduct critical conservation projects. Using a grassroots approach, Sea Sense engages coastal communities in a range of initiatives, providing education and training programs in marine resource management and collecting data on the health of the marine ecosystems (including sea turtle and dugong population sizes, incidents of egg poaching, and location of foraging grounds and migratory corridors). 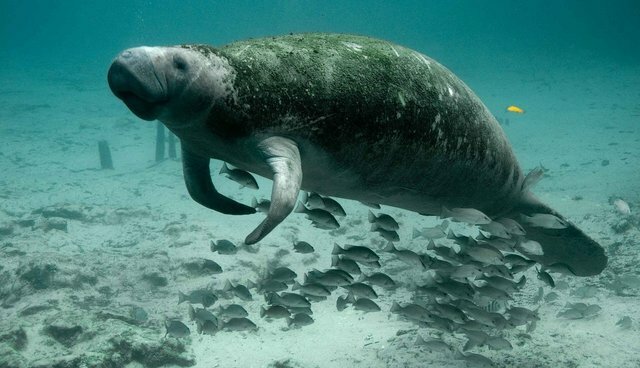 Each of these programs is specifically designed to deliver conservation benefits for endangered marine species, as well as socio-economic benefits for coastal communities. For instance, Sea Sense encourages communities to engage in eco-tourism, which benefits tourists who visit the marine mammals, locals who utilize the revenues, and, of course, the marine life and their habitats. I just received Sea Sense's latest progress report, and I could not be more pleased with its continued efforts and wonderful successes. Let me tell you about just a few of them. Over the past six months, Sea Sense has organized community outreach events to expand public awareness and understanding of the importance of a healthy marine environment, including sea turtle conservation, sustainable fisheries, waste management, community resource ownership and governance, and accountability. In July and September, Sea Sense conducted a marine education program in seven secondary schools in Pangani and Kilwa Districts in Tanzania. Initially, students exhibited a low level of understanding of marine ecology and the importance of marine ecosystems. However, following the program, one student wrote, "My behaviour of not caring about the environment leads to the degradation of marine resources, but now I know that it is a cycle. If the environment is destroyed, we are the ones who face the impact. Therefore, I advise you and me to change our behaviours for our own benefit." Sea Sense supports a network of 33 "Conservation Officers" who act as 'ambassadors for conservation' in their communities, and conduct daily beach patrols to monitor turtle nesting activity and protect nests from poachers and predators. The officers recently visited local schools to educate children about sea turtle biology; conducted beach clean-ups with students; and visited fish landing sites and migrant fishing camps to sensitize fishermen to the protected status of sea turtles, and to demonstrate simple techniques to release sea turtles from fishing gears. In just the period from April to September, Conservation Officers ensured that more than 20,000 sea turtles safely hatched across six coastal districts. Though most fishermen are aware that sea turtles are protected by national fisheries legislation, the fishing camps are typically isolated on offshore islands-largely shielded from law enforcement. Fishermen, therefore, have little fear of repercussions for violating these laws. One of the key approaches that Sea Sense uses to reduce sea turtle slaughter in migrant fishing camps is to initiate dialogue about camp governance and facilitate the election of a camp chairperson, who has overall responsibility for controlling illegal activities at the camp. Sea Sense also builds relationships with the fishermen over time, which influences their attitudes toward sea turtles. Sea Sense has developed income-generating activities for coastal communities, including sea turtle eco-tourism at three green turtle nesting sites in Tanzania, and the production and sale of high-quality hand-made bracelets. Recognizing the importance of sharing research results with national and regional partners as well as the wider scientific community, Sea Sense presents research at conferences; publishes manuscripts in peer-reviewed publications; shares expertise at international meetings; and engages in film production about its work in the field (like a National Geographic piece which will air later this year). Sea Sense's Director, Lindsey West, was even a panelist at the Social Good Summit as part of U.N. Week this year, sharing information about the role of satellite technology in sea turtle conservation. It's clear that Sea Sense has been busy encouraging youth, fishermen, local communities, and research and policy audiences to prioritize the precious marine ecosystems of eastern Africa. I can't wait to hear what Sea Sense accomplishes next.